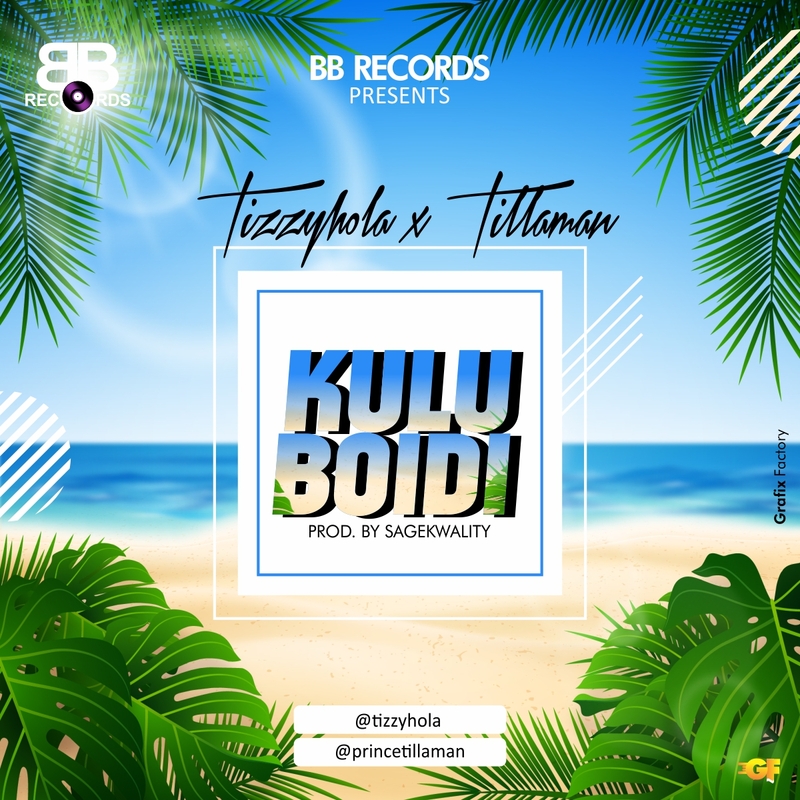 Tizzy Hola is here again with a new song titled KULUBOIDI featuring Tillaman. 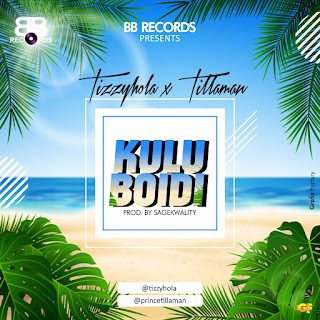 KULUBOIDI is a Yoruba lingual meaning Dance and shake your body. Download, listen, watch and Enjoy!!! 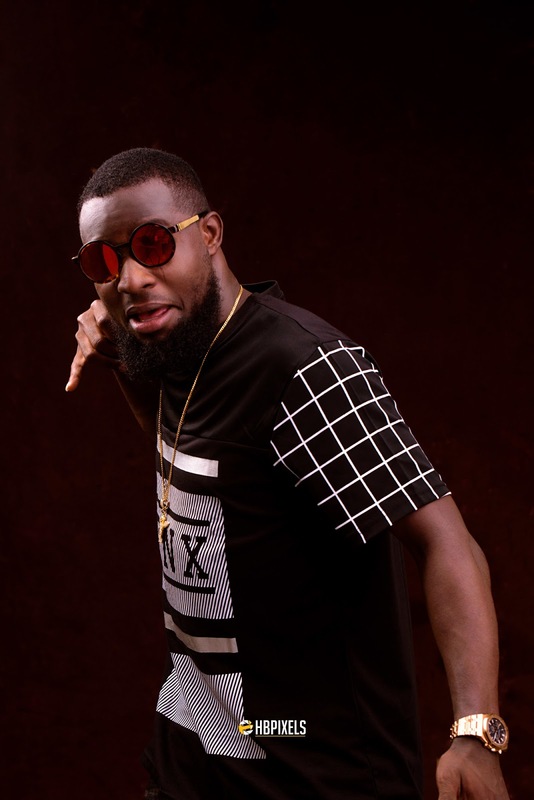 Junior Joe Obute, popularly known as "Slynfit“, is a Nigerian singer, song writer and also a music producer. Slynfit has been away for a while and now he's back to take over the music industry, and has decided to drop his First Official Single "We Don Show" After the previous SMASH HIT Single ( OJB Jezreel Ft Slynfit = Locho) which was released some years back. The Talented Singer is rated as one of the youngest Fast Rising Star in the Streets of Surulere. 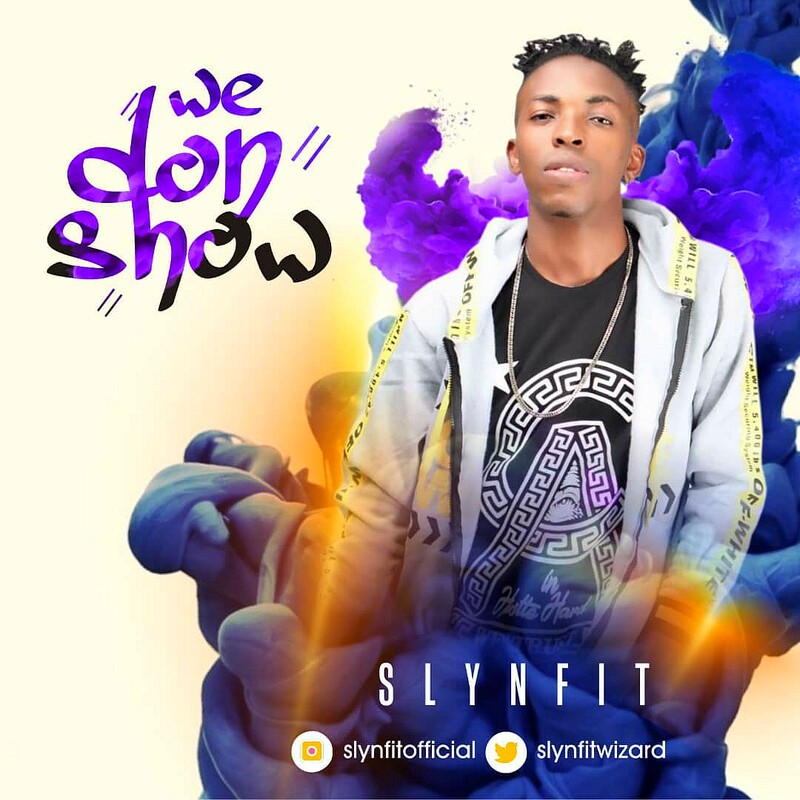 Slynfit has been opportune to work with some top Nigerian Artists like : OJB Jezreel, 2Baba, Yemi Alade, Tony tetula, Duncan mighty, Joel, Sound sultan and many more. Indigenous Female Nigerian Rapper – Tipsy releases another single as she bounces on the world famous Single by Sisqo titled Unleash The Dragon. She raps in her native Yoruba and English. 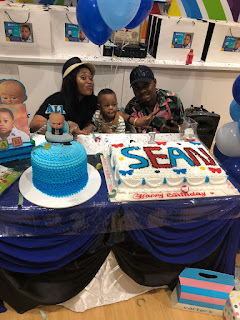 Nigerian Yoruba Actress, Movie Producer And CEO Fairy Candies Management, Bridgett Ighorojeh Adebayo celebrated her son Sean’s first birthday in grand style Last Weekend In Dubai. 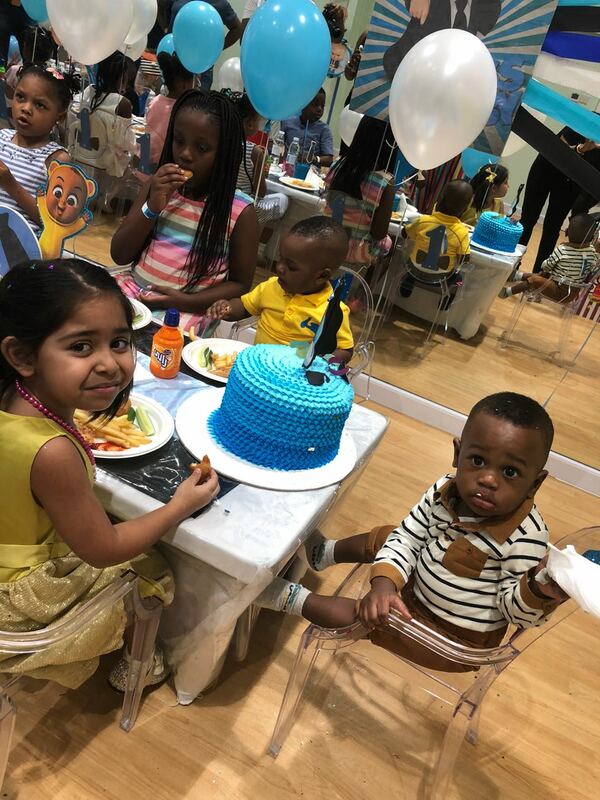 Bridgett Ighorojeh Adebayo took to Instagram to share some adorable photos from the event. 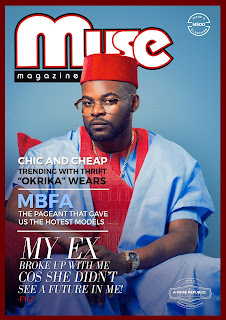 The "This Is Nigeria crooner", Falz The Bahd Guy was dumped by his ex who saw no future in him. Find the juicy tidbits of his journey up to stardom exclusively on the ninth edition of your fave magazine: MUSE. 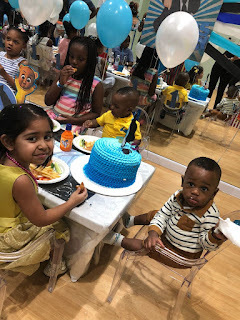 Ladies, do you wish to know a young eligible bachelor, legitimately building a conglomerate spanning the Music, Construction, ICT and Security services? 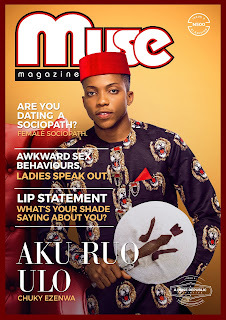 Meet "Aku Ruo Ulo": Arch. 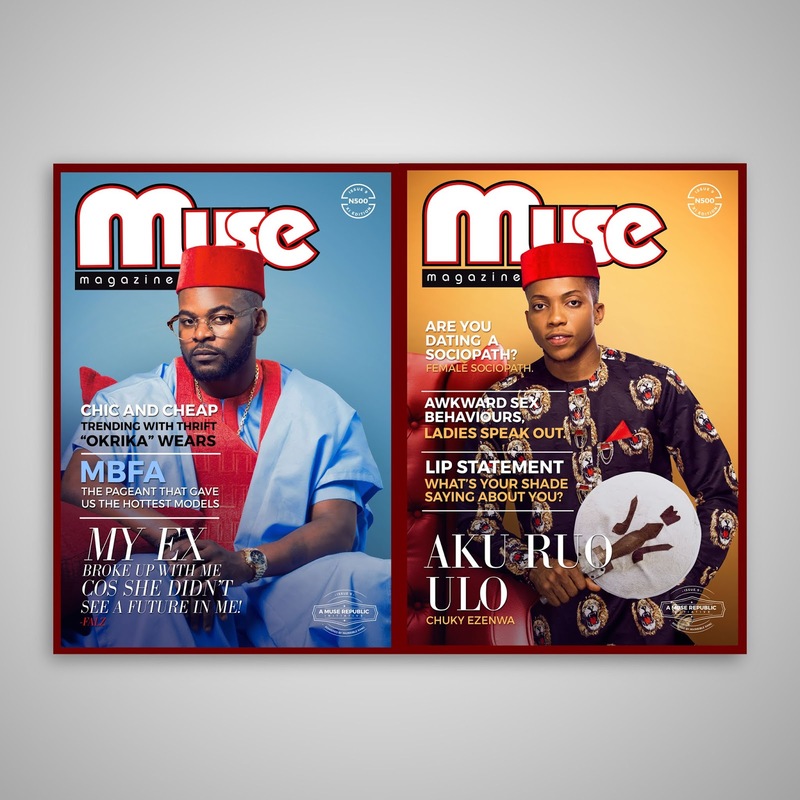 Chuky Ezenwa exclusively on MUSE magazine. 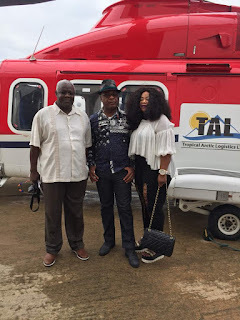 Business mogul Emperor Chris Baywood Ibe recently launched a new helicopter named ‘Chinenyeze’. The helicopter arrived Muritala Mohammed International Airport on May 29, 2018. The helicopter, which is under Tropical Arctic Logistics - one of Emperor Baywood’s group of companies, was imported from Denmark. ‘Chinenyeze’ is strictly for private use and offshore – for corporate purposes, and is aimed at boosting business productivity, client services and other multipurpose logistics activities. 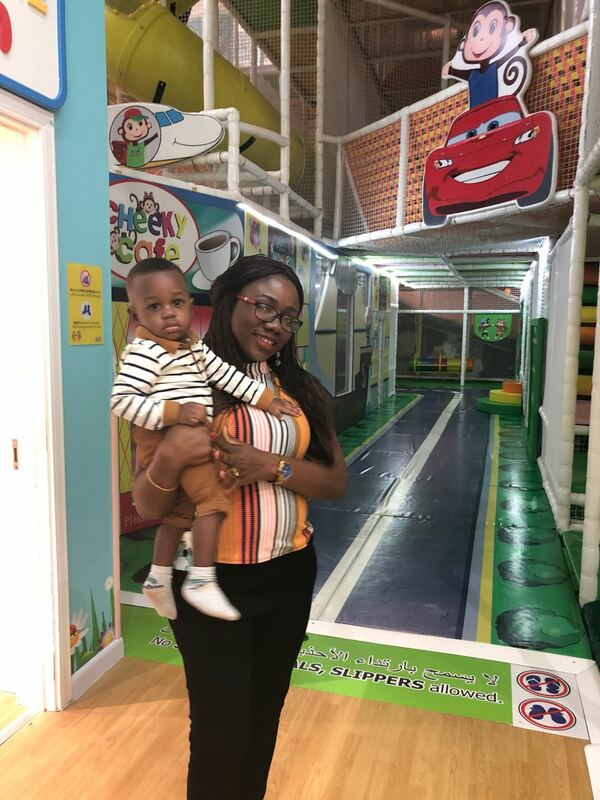 While stating the need for such establishment in Nigeria, Emperor Baywood went on to explain that the reason for this establishment is as a result of the opportunities in the sector; such as the need for spot charters and so on. According to him; "The difference between the helicopter and plane is that, a helicopter lands you directly on your arrival spot if you have a field and you don't have to go to the airport." Expressing confidence in her personnel, he went on to state that Tropical Arctic Logistics have quality and professional aviation officers and pilots, to ensure 100% safety. He also boasted of their service delivery as they set out to commission. 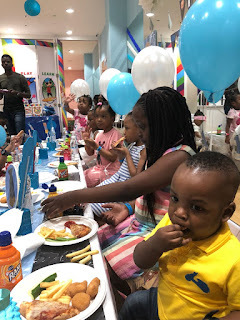 Tropical arctic logistics is under a parent company known as Baywood continental, an establishment of Emperor Chris Baywood Ibe which was established in 1989 and today has several sister companies including Baywood Exploration, ZB Joint Ventures, among others. 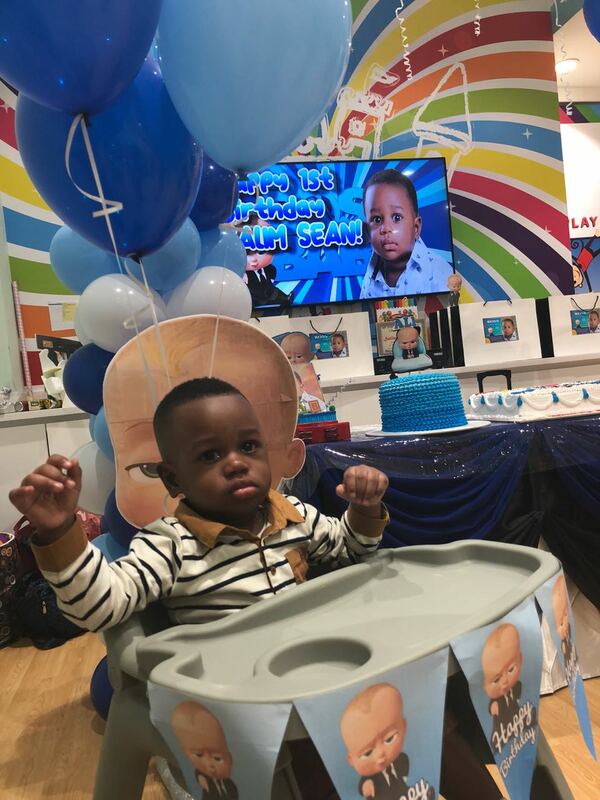 For more information, visit http://tropicalarcticlogisticsltd.com/ and follow @emperorbaywood on Instagram and Twitter. Residents of Onitsha are all set for an exciting evening of beautiful traditional Igbo highlife music and cultural dance as HiLife Fest’s ‘The Complete Experience’ hits the city for the semi final stage of the talent hunt competition set to take place on Sunday, May 27 2018. Onitsha lies at a major east-west crossing point of the Niger River. Onitsha traditionally consists of nine villages and remains the economic hub of commerce, industry and education. Yearly, the kingdom of Onitsha celebrates the Ofala Festival, which coincides with the traditional New Yam festival held in many other parts of Igboland. The festival celebrates the Igbo’s culture of progress borne out of sheer resilience and determination. 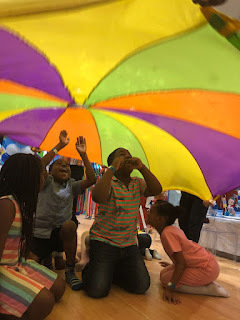 Highlife music and cultural dance are often the hallmark of the festival celebrations, and at Hilife Fest, the future of this definitive part of our rich heritage is handed down to the young minds. 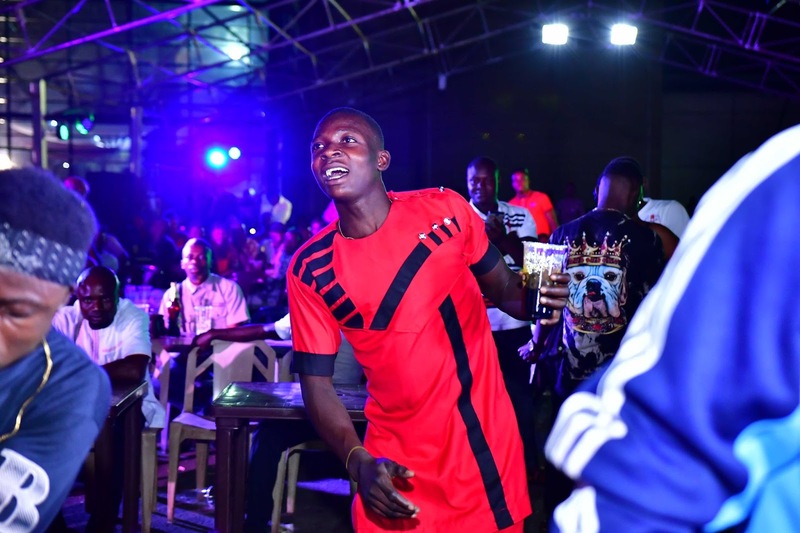 At the recently concluded quarter final, fans were treated to a thrilling and engaging delivery of top-notch highlife music in which 5 dance groups and 10 singers made it to the next level. The semi-final stage will feature Prince Destiny Oluchukwu and Dons Ifeanyi (Anambra state), Chinedu Obiajulu and Emeka Ngwu (Enugu State), Agbom Emmanuel (Delta State), Kalapi Ojuka and Kelvin Emmanuel (Rivers State) Ifeanyi Ogbu (Ebonyi State), Chuks Arthur and Obioha Ikechukwu (Abia State) in the singing category. For the dancers, Kanaowo Dance Group (Rivers State), Noel Africa Cultural Entertainment (Ebonyi State), Umuchiziri Egwu Cultural Dance Group (Enugu State), Asinnodricks Africa (Imo State) and Ofu-Obi (Anambra State) will slug it out for a spot in the grand finale. Expressing joy on reaching the semi-finals, Emma Agbom gave kudos to the organizers for providing a rich platform for young people to showcase their talent to the world. He was particularly thankful for the grooming and mentoring sessions at HiLife Fest Academy. This, he said, impacted immensely on his performance in Aba. Speaking after the quarter final concert, Guest Judge, Michael Ndubuisi, said, “It has been a very unpredictable competition. We’ve had some amazing talents from the various auditions in different cities. It’s almost impossible to even tell who will win as everyone is really talented, so I can’t wait to see which of these contestants will come out tops”. With just one more hurdle between these contestants and the grand finale, the contestants will not afford to give anything other than their very best intent on impressing the intimidating line-up of Judges – veteran highlife maestro and creator of Zigma style, Chief Bright Chimezie, music producer and actor, David Jones David, studied instrumentalist, JJ Aguize, versatile dance instructor, Dr Nicholas Akas, and guest Judge Michael Ndubuisi. Highlife music has been an integral part of the Igbo culture. It inspires and gives its lovers a sense of direction, belonging and connection with their roots. 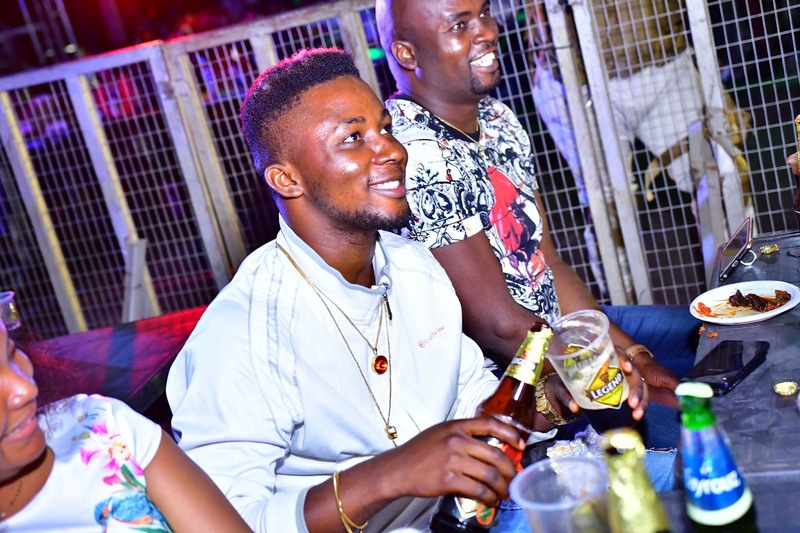 This initiative by the Life beer brand is aimed at promoting this genre of music whilst also preserving the beautiful heritage of the Igbo people. 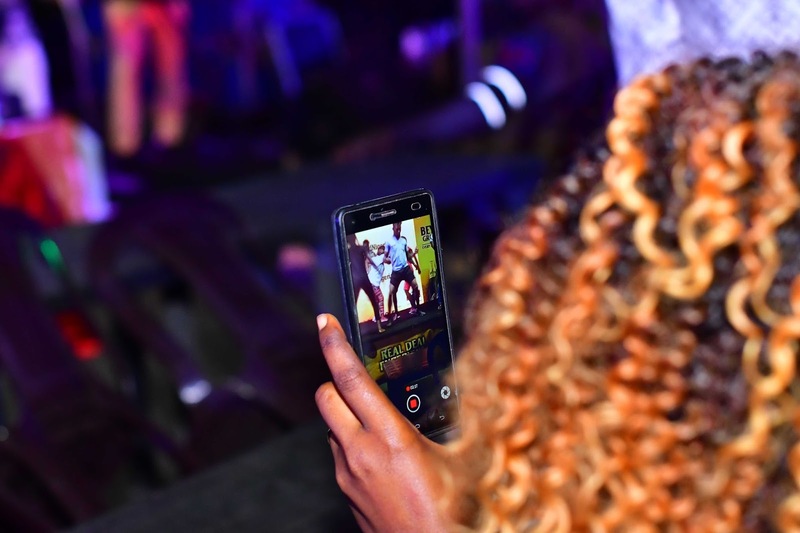 The Hip-hop genre has been categorically male-dominated in the world and the Nigerian music industry is not any different. Despite that, we had some female lyricist like Sasha, Weird MC, Bouqui, Kels, Blaise, and Muna who was quite feisty in delivering heavy punchlines and wordplays back in the days. These ladies were major competitors for the men with strong auras that showed they didn’t come to play. While their talents were clearly patent, none of these ladies stayed relevant than we craved for. Even Eva and Pryse who were somewhat strong contenders aren’t actively promulgating the culture as expected. 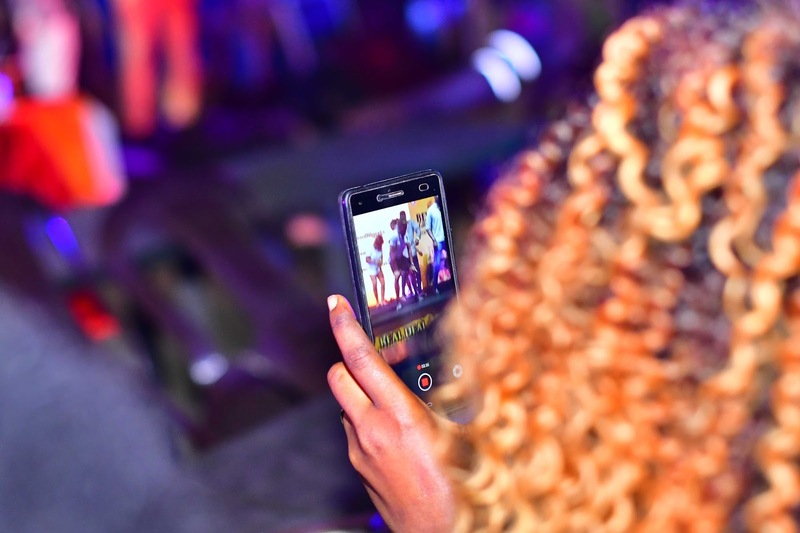 Perhaps, the emergence of femcees like Tipsy and Ms. Chief will give the rap genre a new face and make it more appealing to music lovers. Interestingly, I heard about Tipsy and Ms. Chief individually for the first time, a few days ago, and figured out they have been around for a hot minute. 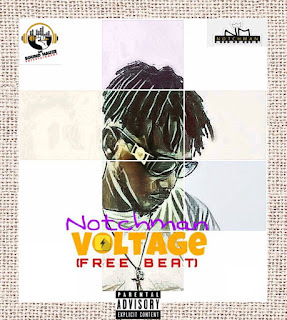 What I find quite similar about both acts is their style – it had some form of street-essence combined with the use of the indigenous language, Yoruba, as a major form of communication garnished with instantly catchy and memorable chorus. 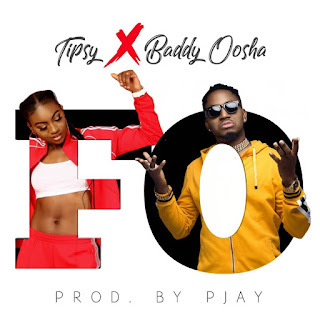 Tispy’s debut came via a tribute to DaGrin in 2011. A few months later, the rapper joined forces with the defunct collective, Big Boyz All Star, JJC’s second attempt at revamping a crew after artists that formerly comprised his JJC/419 squad took on solo careers. Tipsy has been releasing material ever since, with names like Olamide, Ice Prince and Dammy Krane amongst others in her archive of collaborations. 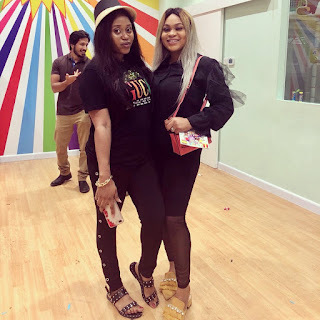 She recently released a new single accompanied by a video titled “Hello” where she jumped on the shaku shaku train and delivered a spectacular performance while using satiric expressions to convey her message. 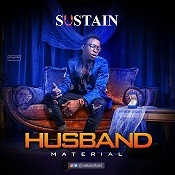 This was a follow up of her 2017 single, “E Da Kun” which is my favorite by the way, as she touches on some of her struggles and reaffirms her enthusiasm and purpose as an entertainer. In my opinion, Tipsy is not just a pretty face, but also offers a complete package for stardom. 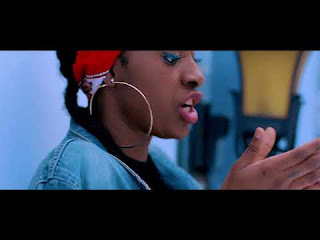 Ms. Chief, on the other hand, released her official EP titled The Boss Lady under the BeatBuxx360 imprint in April 2013 but not until she dropped two of her singles, “Daddy Davido” – an ode to the Billionaire Businessman and father of one of Africa’s biggest artist, Davido and most recently, “Burst my Brain”, I began paying attention to this rare talent. While the former had more commercial appeal with the shaku shaku embellishment, the latter made room to showcase her lyrical prowess accompanied with a 2D Animated video created by Nigerian Hip-hop artist Fecko. The video depicts Cameo appearances by Cassper Nyovest, Olamide, Wizkid, ED Shereen, Drake, Sarkodie, Banky W just to mention a few. With this two acts staying strong and consistent we may just have found our female hood ambassadors and just like the men who have fittingly represented the streets with the likes of Olamide, Small Doctor, Reminisce, and the raves of the moment – Mr. Real and Slimcase, among others, these femcees are staking their place in entertainment while I look forward to seeing them impress further with more releases that could gain them more recognition and hopefully, win some accolades. 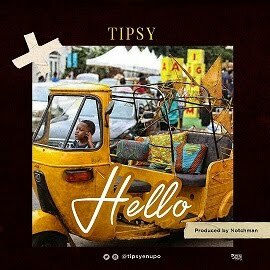 Nigerian female rapper Tipsy releases the visuals for her most recent single Hello. 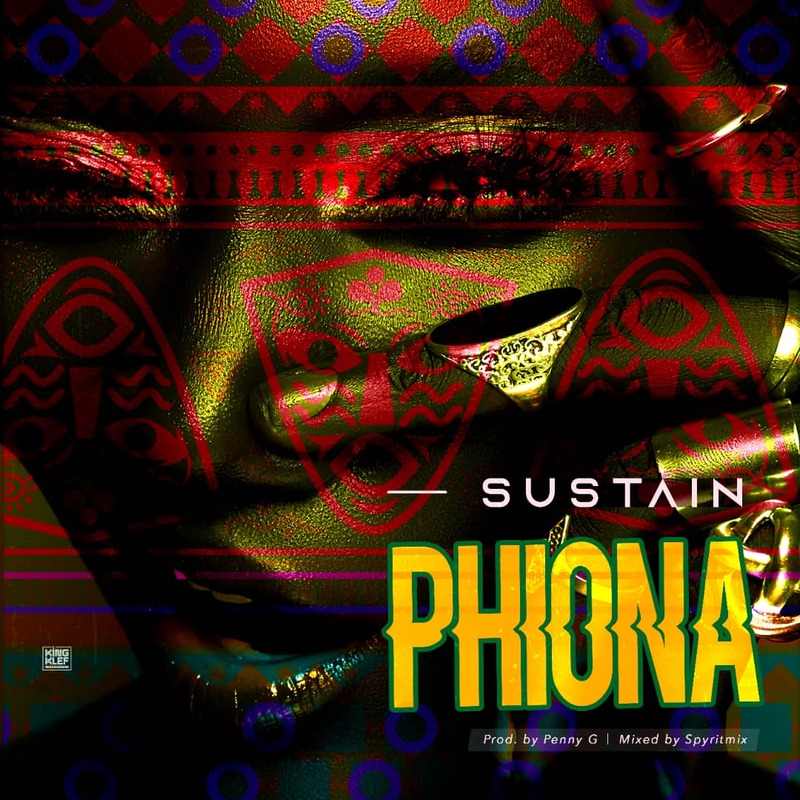 It’s a follow up on her previous singles E Dakun and Hustle Remix Featuring Olamide. 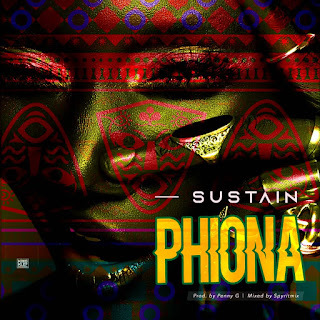 The video was directed and shot in Lagos by Avalon Okpe. 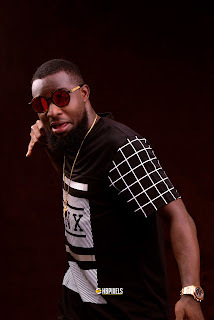 Niger State born, Johnson Olaoluwa Babalola aka Ijaya (@ijayamusic) is ready to take the Nigerian music industry by storm! Ijaya is an undergraduate of FUT Minna and is currently signed to AOU Record. Get set for a storm from this talented dude. The young singer has been able to affiliate himself with a lot of big names in the industry and has been relevant with it as well, some of which include the likes of Praiz, Kiss Daniel, Skales, Small Doctor, Iyanya, Yung6ix, Falz, Timaya, 2baba & some others. On Wednesday, February 14th, 2018, Nigerian football fans were treated to an exclusive viewing of UEFA Champions League matches by International Premium Lager Beer, Heineken at the IMAX Cinemas, Lekki, Lagos. 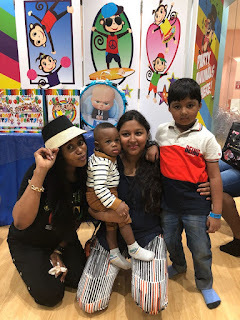 The vibrant event commenced with various fun games which entertained the eager fans ahead of the live matches, Real Madrid Vs PSG and FC Porto Vs Liverpool. 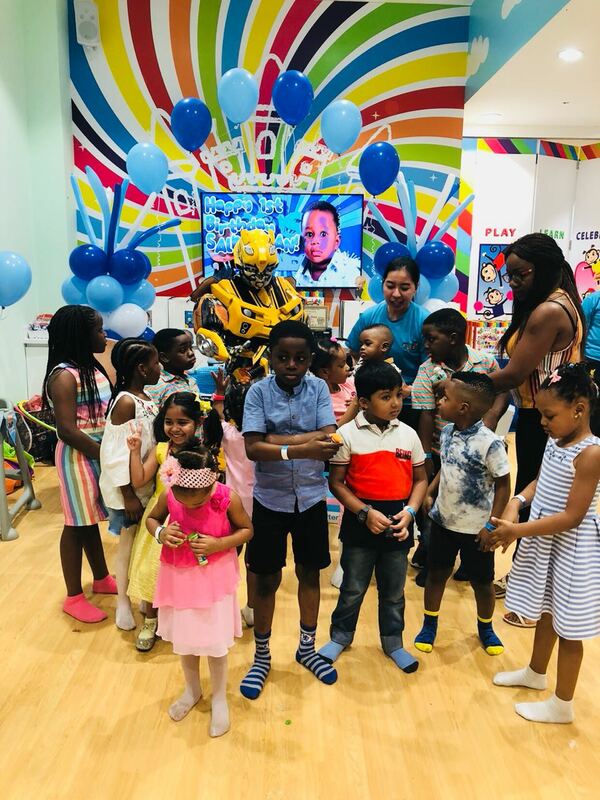 The Cinema venue was teeming with over two hundred excited fans, all set and ready to cheer their favourite clubs to victory, while sharing dramatic moments on screen during the matches with friends present and those at home. Daniel De Humorous was also on hand to host the event, adding to the energy and excitement in the air as fans settled to watch the games. History was made on the night, as Cristiano Ronaldo, the Real Madrid striker became the first player to score 100 and 101 UCL goals for a single club. The mostly Real Madrid supporting crowd was quite agitated when PSG scored the opening goal, but Ronaldo’s equalizer, which came via a penalty just before half-time, was enough to calm nerves. The Portuguese striker scored a second goal in the 83rd minute, which was shortly followed up by a third one from Marcelo to take the game beyond the Parisians. To liven everyone up and calm things down during the halftime break, guests played the “I Know The Game”quiz, where football fans were tested on the depths of their knowledge of the game,and winners were rewarded with Heineken branded items. 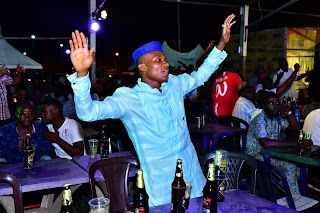 The evening ended with much banter and excited chatter amongst the fans in attendance, as Real Madrid beat PSG 3-1, and Porto lost at home to Liverpool by 5 goals to nil. 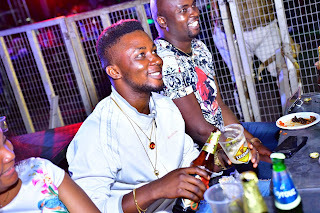 UEFA Champions League fans in Lagos, Abuja and Port-Harcourt can continue to look forward to enjoying the Heineken UCL experience at IMAX Lekki, Silverbird Abuja and FilmHouse Port Harcourt, as the brand will be hosting fans every week across these three cities, with a series of live matches planned for the rest of the 2017/2018 Champions League season. The UEFA Champions League season is an exciting period for football fans all over the world. 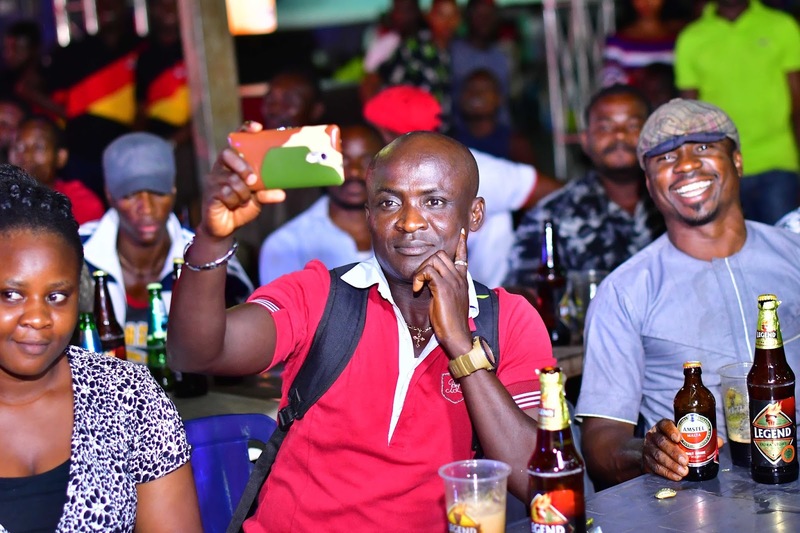 In Nigeria, many prefer to watch live matches at viewing centers, sharing the fun and dramatic moments with friends over a bottle of beer. 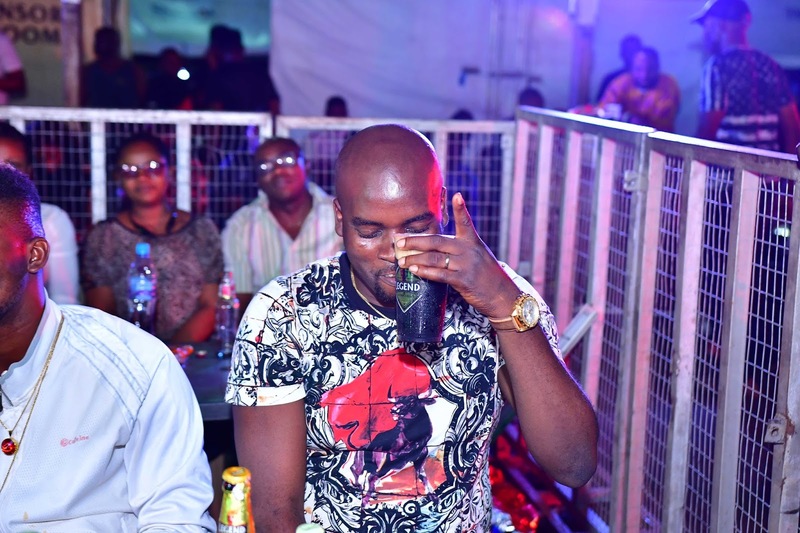 International Premium Beer, Heineken treated UCL fans to an exclusive viewing experience at IMAX Cinemas Lekki, on February 14, 2018 where they watched the explosive clashes between Real Madrid and PSG, as well as Porto Vs Liverpool. The event is first in a series of live matches planned for the rest of the 2017/2018 Champions League season in Lagos, Abuja and Port Harcourt. The Glamorous: Dressed in smashing outfits, cool, fresh people who'd never be seen out there without looking their classiest best, whether it be a red carpet event, or on a UCL game night. The Video Game Fanatics: While fans were busy cheering their teams on, the FIFA game addicts played their own match with so much concentration and intensity. Football Elders: This set of people came with so much passion for the game and argued before, during and after the game. They know the stats, formation and all the players' middle names. Which category do you belong? 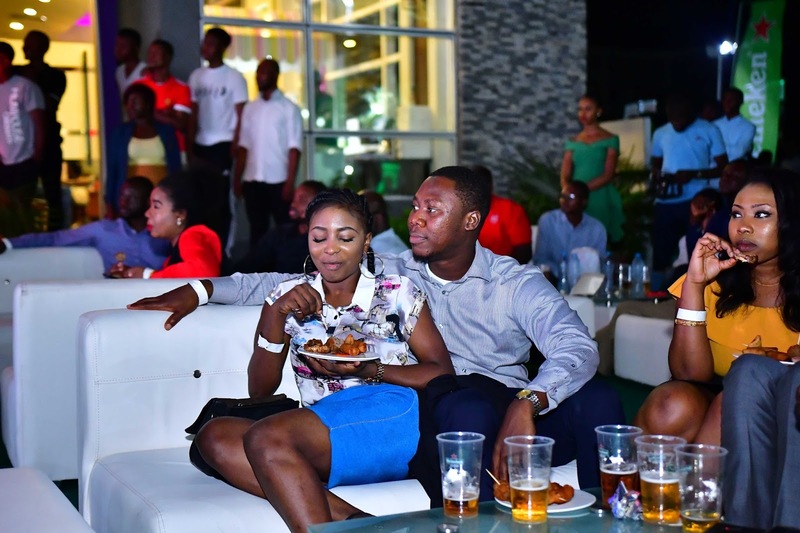 Lagos|Nigeria: In the spirit of love, IMAX Cinema Lekki experienced a different atmosphere with International Premium Lager Beer, Heineken, hosting and rewarding football fans at an exclusive viewing of UEFA Champions League matches on Val’s day. 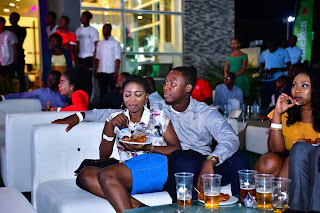 Fun loving couples thronged the event to enjoy the energy of the live matches, Real Madrid Vs PSG and FC Porto Vs Liverpool. The classy crowd boasted a cocktail of men and women celebrating Valentine’s day, while also cheering on their favourite teams playing on the night. There were four different viewing screens at the venue, each with differing aesthetics to add spice to an exciting football experience. 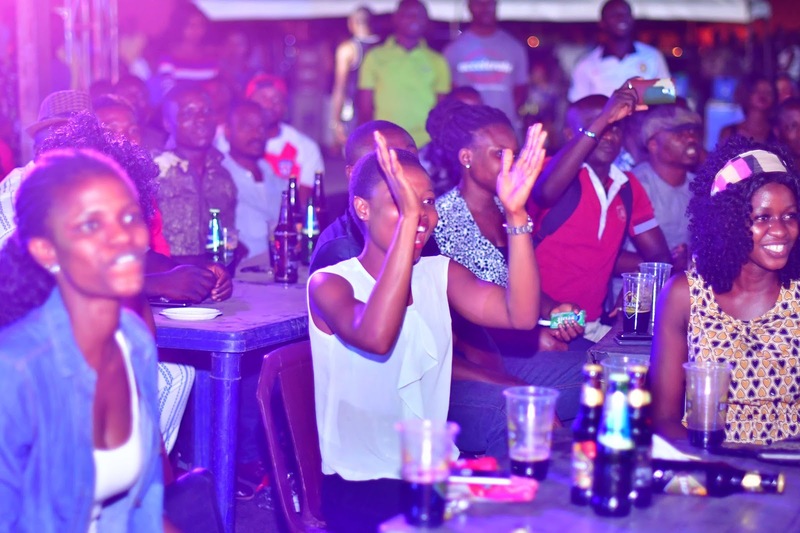 Even with a male dominated audience, the women present still proved their mettle by not only competing in the fun games on ground before kickoff and during the half time break, but also winning Heineken branded items in games and quizzes that tested their football knowledge. After emphatic wins by fan favourites, Real Madrid and Liverpool, the guests ended the night on a high, leaving the venue with laughs and memories of a night full of drama. Fans of UEFA Champions League in Lagos, Abuja and Port-Harcourt can look forward to enjoying the Heineken UCL experience at IMAX Lekki, Silverbird Abuja and FilmHouse Port Harcourt. Heineken will continue hosting fans every week across these three cities, with a total of 34 live matches planned for the rest of the 2017/2018 Champions League season. 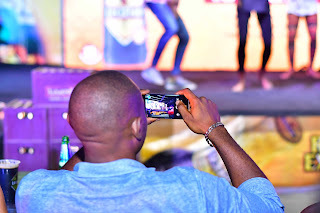 On Friday, February 9th 2018, Nigerian Breweries Plc (an Operating Company of Heineken International) and the Nigerian Football Federation (NFF) held a colourful ceremony in Lagos to officially kick off their historic multimillion Naira partnership, which will have Star Lager and Amstel Malta as official alcoholic and malt beverages of the National Football Teams of Nigeria. 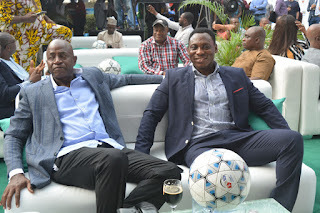 Present at the event were some of Nigeria’s most accomplished male and female National Team ex-players, including famed USA ‘94 World Cup team members, midfielders Garba Lawal and Mutiu Adepoju, Goalkeeper Peter Rufai, as well as Samson Siasia, Daniel Amokachi and Augustine Eguavoen, the last three also having served as national team coaches since retirement from football. 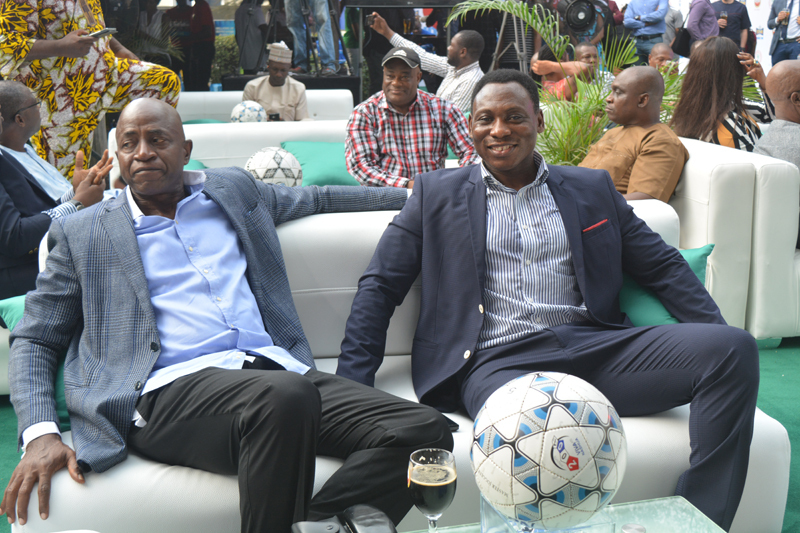 Also in attendance at the event were former Super Falcons players Anne Chiejine and Okunwa Igunbor, as well as former captains of the Super Eagles from the 80’s and 90’s, Segun Odegbami and Henry Nwosu. The two Nigerian Breweries brands will be providing support to National Team players and coaching crews, as well as offering premium enjoyment to passionate football fans that will be cheering the teams during and after their matches. Yetunde became a humanitarian at the age of 15, she touched a lot of lives in her neighbourhood when she was young and continued while schooling in Ghana. 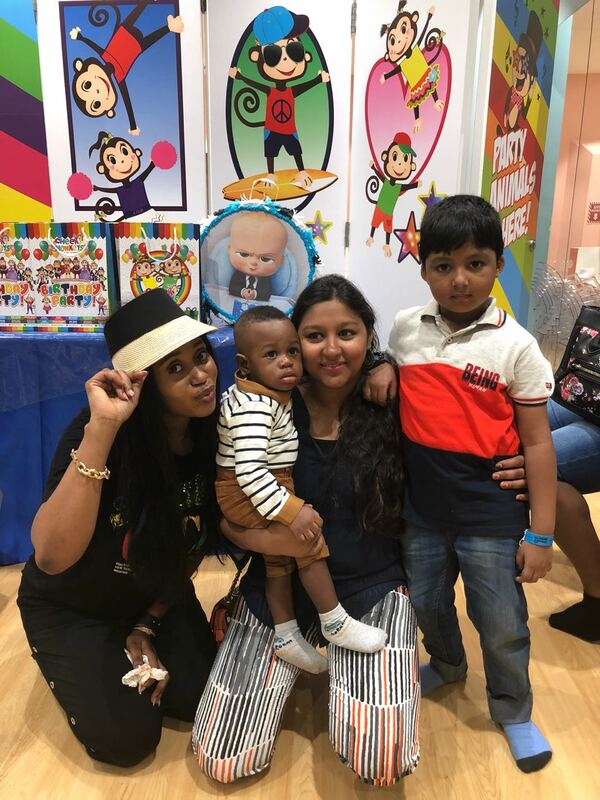 Before starting her own foundation, she touched series of orphanage homes in Ghana by donating items monthly and also spending time with the children. Yetunde is the CEO of Blinkup Communications and also the Founder of Feed for Life Foundation. Feed for Life Foundation (formerly known as Blinkup Foundation) was founded in 2014 with the sole purpose of fighting against child hunger in Nigeria. Since inception, the foundation has fed 12,000 children, December 2017, we fed 3000 children and old women at the Makoko Slum and they will be feeding 5000 children and old women at the Iwaya Slum this Easter. Feed for Life Foundation exists to end childhood hunger. We believe that everyone can work together to create a world where no child goes to bed hungry. The foundation’s Vision is to Create a world where no child goes to bed hungry. WE ARE TAKING A STAND AND WE WILL NOT REST UNTIL EVERY CHILD HAS ENOUGH TO EAT. We are also available on social medias - Feed for Life Foundation. 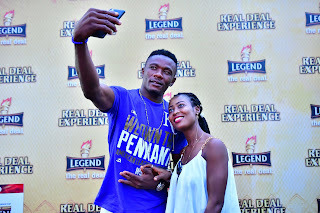 It was a night of great music, fun and excitement at the Polo Park in Enugu last Sunday as Legend Extra Stout stormed the beautiful coal city with its signature music tour, the Real Deal Experience concert, the first in 2018. The headline act, famous Afro pop and highlife singer, Harrysong who unsurprisingly was the toast of all present, thrilled the crowd of fun-lovers with a bevy of his very popular hit songs as the revelers took him on in an unending sing-along. 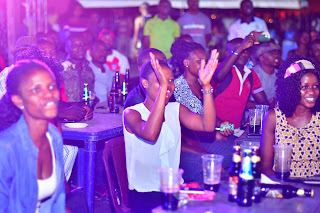 With a good supply of premium Legend extra stout, cash prizes, gifts and other numerous side attractions, the night couldn’t have gone better for the fun-loving residents of Enugu who came out in large numbers to enjoy the concert. As with every make sense concert, the audience at the Real Deal Experience was a mix of the good, the weird and the downright hilarious. 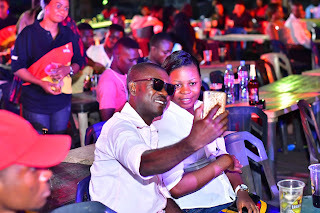 From the lovebirds who saw the event as an opportunity to profess their age-long affections especially as Valentine’s is already in the air, to the those whose only business at the venue is the free drinks (not that Legend is complaining anyway), the Real Deal Experience had every constituency well represented. These are the Romeo and Juliets. They came to see the headline act perform but miss out on most of the fun because they just won’t let each other be; it’s either they are distracting other party-goers with their unwarranted PDA or laughing out loud to a joke only they heard. These ones just happen on the concert venue either by luck, wandering or just fill in the blank...They clearly don’t know what’s going on, but everyone seems to be having fun so whatever...they join in. 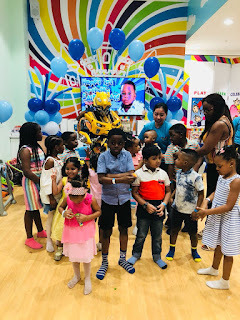 We would have called them the mogbo-mo-branch but they are completely clueless, and they didn’t gatecrash really. You know them: they are in your school, at work, in church and everywhere. You have them as friends, as colleagues, heck you might even be one of their kind. These ones came for just one reason: their boyfriend. The brutally honest types: they are not here to dance or party, just for the free drinks. 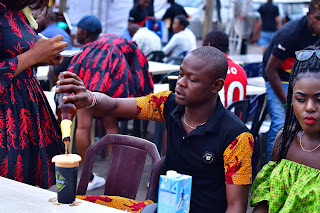 They don’t mind getting a plate of pepper soup to go with the free drinks too...oshofree! You probably belong in this group. These ones only care about the headline act, if you like, introduce 50 fantastic opening acts, they still won’t look up from their phone. 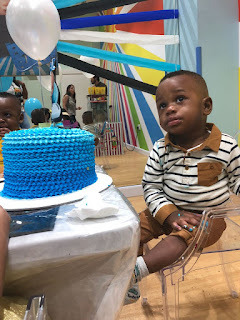 They came for Harrysong only and so shall it be...did I hear a silent amen? These ones took pictures and videos at the concert venue all through the event. 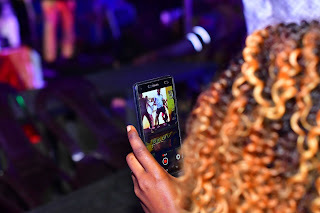 They missed out on the fun while trying to capture the event while making sure to distract those who have come to truly enjoy the concert. These ones prepared a playlist from their house for the artiste. They won’t stop yelling at the musicians to perform their songs, well, until people around them yell at them to shut the f**k up. 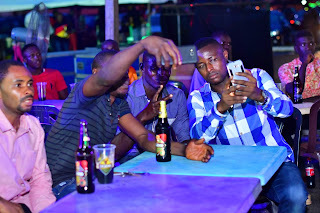 These ones are always glued to their phones tweeting and chatting away while missing out on the fun. They miss out on the fun and excitement but they end up having social media posts to show for it..so it’s a win too.